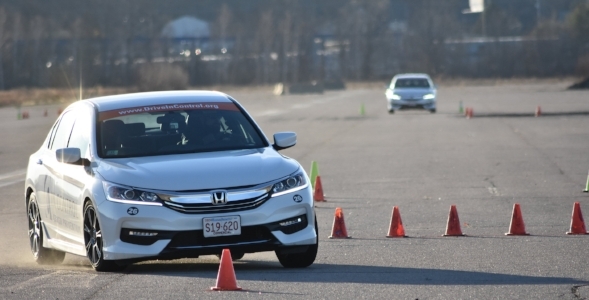 Our Courses Consist Of Closed Course, Hands-On Crash Prevention Training, Supplemented By Vehicle Demonstrations, Group Exercises & Classroom Discussion. The vast majority of new drivers and most experienced operators will qualify for auto policy discounts. Take advantage of our Spring Special and save $75 off our Crash Prevention 101 Course. "The other kids say my daughter saved their lives….She says she owes it all to your program and my insistence that she take it. God bless you! Thank you, never stop doing what you are doing. You saved five lives tonite!!!!" Who are you looking to train?